I had lots of plans for my latest Nanny Pat day, but the weather intervened and I was driven indoors by heavy thunder showers. 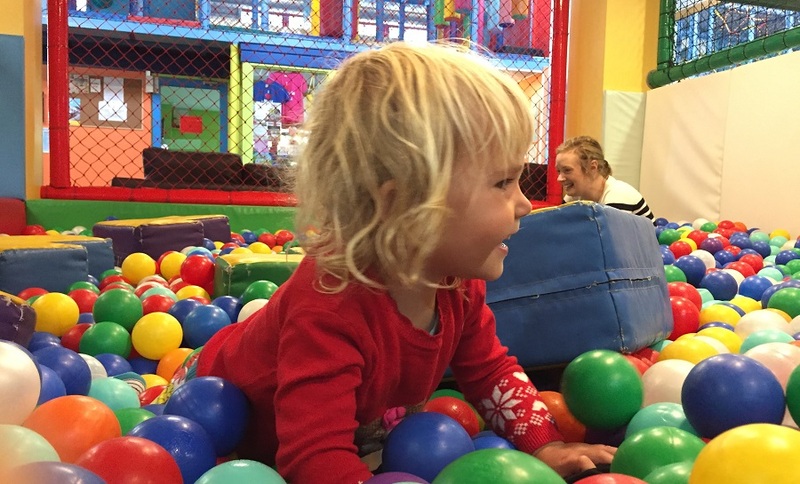 My grandchildren love soft play, so I thought I would give Kidzworld a try as it has been modernised since joining Cornucopia earlier this year. 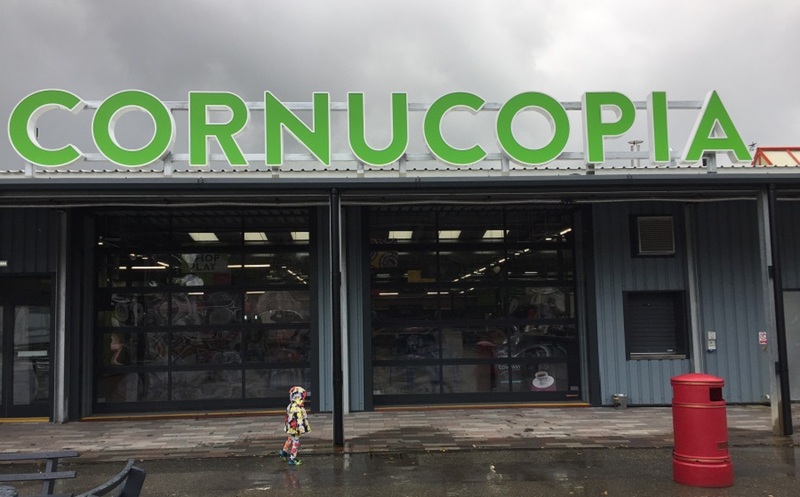 Cornucopia is billed as a shopping and food outlet area. It’s situated on the Par/Fowey road to the east of St Austell, near Cornish Market World (approximately 15 minutes’ drive from Bosinver). It was launched last month and I was surprised to find so few businesses operating in the lovely new space. At the moment there are two gift shops, a bakery, an ice cream maker and pizza/coffee shop with a stage for live music. More shops are scheduled to open, so I hope that they will breathe some life into the place. Jasmine and I had a coffee and chat with Dawn from the Kernow Pizza company before we headed along to Kidzworld. We passed Sam’s American diner, which has been on site a while now and they were busy with customers which was reassuring! I visited Kidzworld with my grandson Sam a couple of years ago and was not impressed. It was costly, dirty and quite run down so I had avoided a return visit. However I had heard that the new owners had given it a makeover so decided to give it another try. Jasmine, at three years old and quite small, did not reach the magic height mark on the wall so entered for free. I paid £3.75 and was told we could stay as long as we liked. 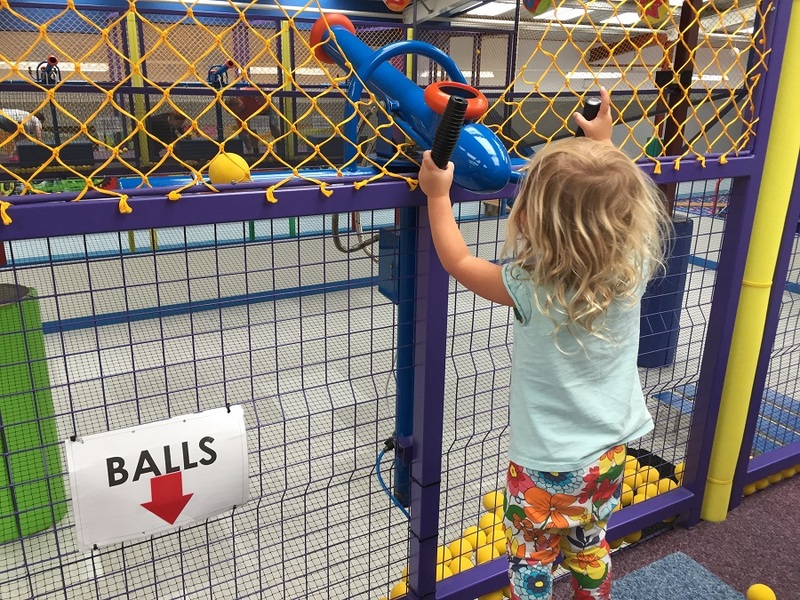 Toddler paradise awaited and we tried every piece of equipment available. There were drop slides, bumpy slides, tube slides, ball pools, Wendy houses and an under 5s zone for little ones with a bouncy castle. 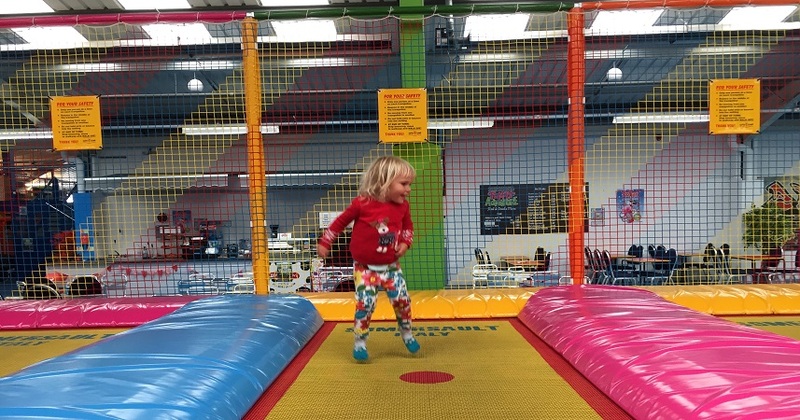 There was also a new area with a row of floor-level trampolines and a roller skating rink with a soft ball cannon firing area above. Outside there is a dodgem rink, high wire climbing area and Indiana Jones style crazy golf with interesting staging. Some of these areas are only open late afternoon and at weekends and during school holidays when older children are able to participate. There is a small cafe with basic food and hot and cold drinks and nice clean toilets. Everything was in good order and very clean – a big improvement on my last visit. 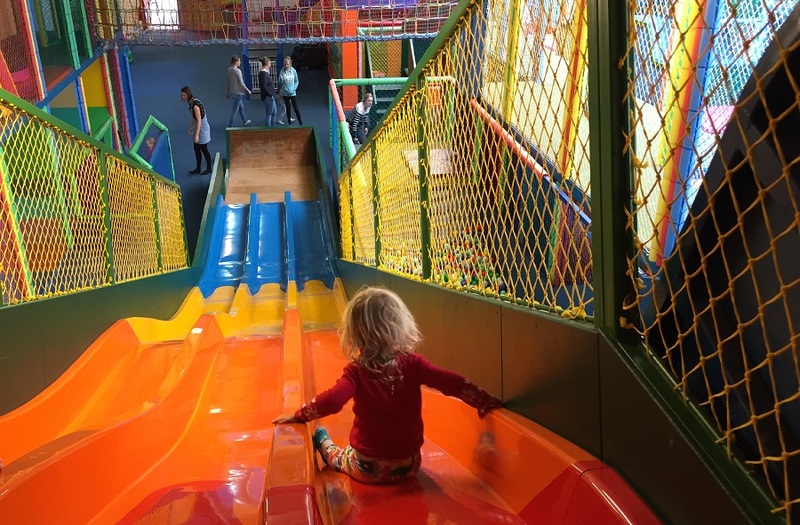 We spent three busy hours there (Jasmine would have stayed longer) and I would definitely recommend a visit when, like me, you are struggling to find something to entertain the children not too far away on a wet weekday. Opening hours can vary depending on the time of year. There are activities geared to older children from 3pm-7pm and at weekends during term time. To find out more and check opening hours and ticket prices, give them a call on 01726 815553. Look out for the new Kidzworld website, due to launch in mid-October.